All about Balance - Ocean Mag provides the perfect balance. The Magnesium Hydroxide possesses a high level of magnesium and a 50% higher solubility than magnesium oxide in water. Magnesium is the forgotten but essential mineral, often called the master mineral, it helps supports muscles, nerves and pH in the body. Magnesium hydroxide (sea water extraction). Take up to 1.25g (1/4 tsp) daily, dissolved in water. 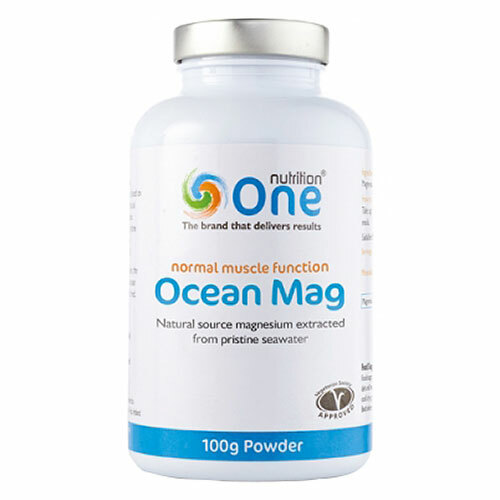 Below are reviews of One Nutrition Ocean Mag - Magnesium - 100g Powder by bodykind customers. If you have tried this product we'd love to hear what you think so please leave a review. 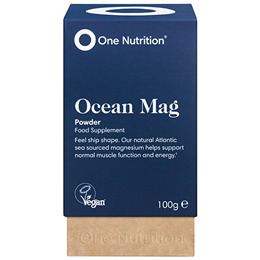 All about Balance - Ocean Mag provides the perfect balance. Magnesium is the forgotten but essential mineral, often called the master mineral, it helps supports muscles, nerves and pH in the body.